'Dominique' ( Mary Dunn, R. 1986). Seedling L74-80-10. LA, 32" (81 cm), Midseason bloom. Dark red maroon, yellow feathering on shoulders of Falls, yellow signal. 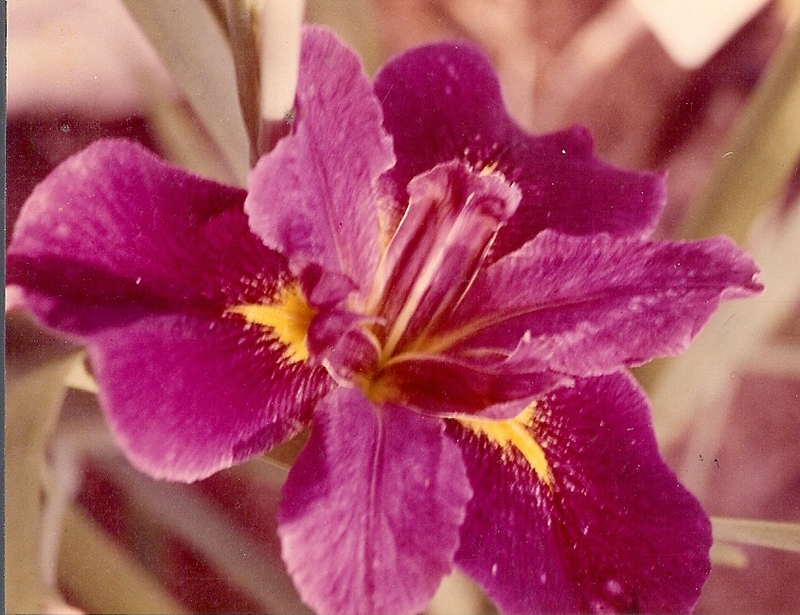 L21-75-2: ( 'Blue Shield' x 'Black Widow') X 'Charlie's Michele'. Bay View Gardens 1987.